Running down to the neighborhood grocer and asking for a toffee is a sepia tone tined memory for us. The current generation of kids can hardly relate to the experience of being in a small discreet grocery store which was more personalized with smiles from the shopkeeper and an occasional free toffee if we were good. What’s more is that being part of community, the shopkeeper knew us well and would occasionally give the goods if we ran short of money knowing well we would pay it back. What was more intriguing was the way he stocked everything you needed in a shop that was barely 100sq ft. or less. These days we have everything within reach and ready to grab at the supermarkets and malls. Attractive packaging, display and décor all become part of a glamorous advertising that is actually put to entice the kids so that parents splurge. With the kids having no idea of the principles of financials; every time our kids accompany us to the malls we have to be assured that we shall exit with an empty purse. 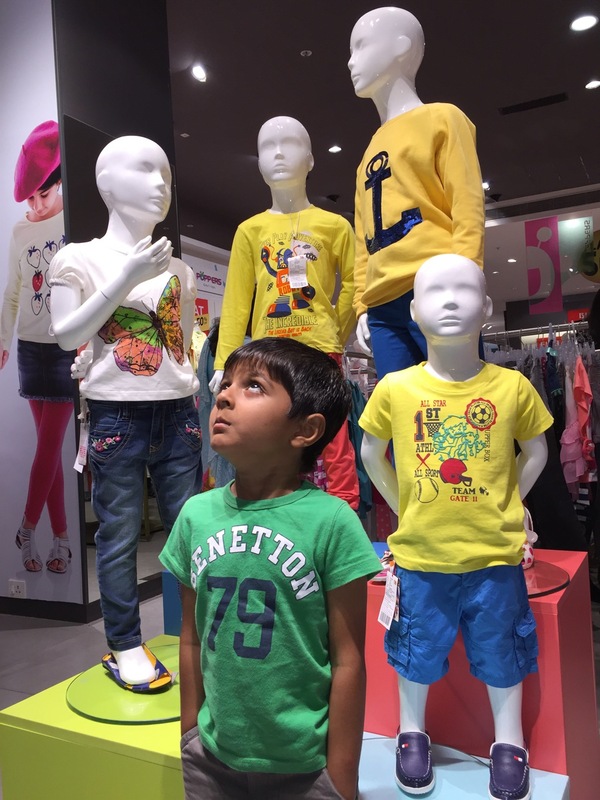 Not that the kids are little devils who make us spend – but the malls have it all positioned quite well to make them force you to buy things which may not be required or are temporary joys. The dazzling array of toys, the artfully designed apparel stores and the fast food places that promise all the fried stuff that mommy has deprived them – it is so irresistible for kids that they must absolutely need it all. All the enticements that our kids undergo and drag us too; whereby we are obliged to spend in order to not to create a scene. In this scenario we can either be firm parents who don’t budge under kid’s pressure or we don’t take them to the malls too often (especially when they’re in impressionable age yet unable to understand the monetary aspects). You can do your grocery shopping quick and alone and you can avert unnecessary expenses. That means savings for you and your kid. Next Next post: What makes fashion brands tick?